It has happened. Erdoğan, the President of Turkey, has continued his rule by winning the election on Sunday, June 24th with a majority vote of 52.6%. Under the new constitution, he will get unprecedented powers, such as directly appointing ministers and judges. After being Prime Minister for 11 years and later President, Erdoğan wields a massive influence in government. Two months ago, the ruling party of Turkey (AKP) decided to hold snap elections. Turkey needed a change after close to two years under the state of emergency, which had not been conducive to the economy and political liberty. Here are a few ways how things have went downhill. -The Lira had inflated as much as 10% in one day and around 12-20% this year (I can just see money flying out the window). Prices have mounted. 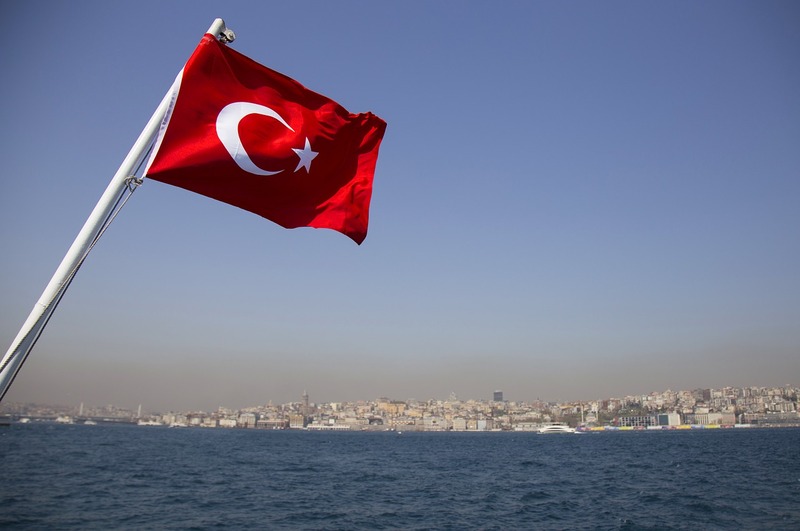 -Several foreign reporters and a Protestant pastor have been detained in Turkey (which would not have happened without the state of emergency). -More than fifty thousand people have been put in jail. -Wikipedia has been blocked for more than a year. You get the idea. Things do not look good. Neither has the weather behaved. This month, it has rained until the main road in our district flooded, which rarely happens in rainy seasons (and summer is supposed to be super dry!). Throughout the whole summer, my side of the country only gets 0.2in of rainfall on average. In addition, various other large cities also had extensive flooding, with even a four-year-old getting swept away. Due to bad weather, onion prices have gone through the roof. Onions consist of the staple food and were dirt-cheap before. In the Bible, God often used the weather to speak to the people. -Let's start with the most famous one: God stopped rain for three years during King Ahab's reign. -Samuel called for rain during the wheat harvest to show the Israelites their folly (1 Sam 12: 17). -He promised to bless the Israelites with "rain to [the] land in its season" (Deut 28: 12). -Conversely, He lists "skies of bronze, a ground of iron, the long-awaited rain that causes destruction" as a curse (Deut 28: 23). -"Roaring of the seas and waves" before the Second Coming of Jesus (Luke 21:25). With his victory, different days lie ahead for Turkey, economically, politically, and spiritually. Turkey teeters on the edge of economic crisis. Opposition newspapers will either close down or publish tongue-in-cheek articles. Missionaries will find it harder to stay due to visa issues. God has allowed this to happen, and He has a plan. He loves to turn bad things into good to glorify His name, such as the case of the Israelites in Egypt. As far as man can see, people who dislike Erdoğan will get angrier. Others will see that this road of their religion does not lead to life. They will start to doubt and question. Their faith, their beliefs. And pray that they will. -Pray that God will work in this land. This is a land that will not yield unless God works mightily. -Pray that people's hearts will turn towards God, not atheism. -Pray that the church will rise up to the challenge. -Pray that God will strengthen the church, just as He built up the early church. Even under less than favorable conditions in the eyes of man, it stood up strong in the face of Jewish and Roman persecution. Though darkness reigns now, our God can never be defeated; He will always be victorious!